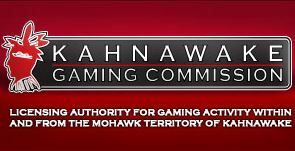 Despite the fact that Full Tilt Poker has not accepted deposits or withdrawals for over a month, or even games for that matter, the Kahnawake Gaming Commission (KGC) has decided to renew the troubled site’s secondary gaming license –which shouldn’t be too surprising considering the KGC licensed UB and Absolute Poker after their internal cheating scandals. So even though their primary license is suspended, it hasn’t been revoked at this time, so the KGC simply rubber-stamped Full Tilt Poker’s secondary license renewal form. The KGC has never suffered from an abundance of credibility after its wishy-washy investigation into the Super-User scandals and subsequent licensing of the offending sites, but licensing a site that has failed to process a single US withdrawal since April, hasn’t offered a game since June 29th, and has been shut-down by their primary licensor, is almost just as incredulous. This entry was posted on Wednesday, August 3rd, 2011 at 10:36 am and is filed under Poker Industry News. You can follow any responses to this entry through the RSS 2.0 feed. You can leave a response, or trackback from your own site.